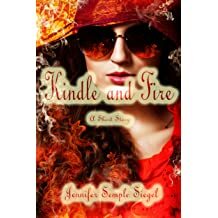 SHORT VERSION: Jennifer Semple Siegel is not only a writer but also a retired adjunct professor. She has taught Creative Writing and Literature at York College of Pennsylvania and Ss. Cyril and Methodius University of Skopje (Skopje, Macedonia). 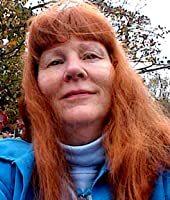 Her fiction and non-fiction, including scholarly articles, have been published in various national and regional journals, magazines, and anthologies. From 1993-1996, she edited ONION RIVER REVIEW, a literary journal. She earned her M.F.A. 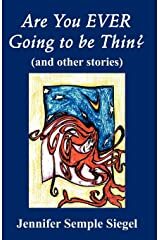 in fiction from Goddard College (Plainfield, Vermont). In 2009, Semple Siegel served as a Fulbright Scholar in Skopje, Macedonia. In addition to her teaching and own writing, her Fulbright project included helping to develop a new American Studies program at Ss. Cyril and Methodius University. She currently lives in Pennsylvania with her husband Jerry. LONG VERSION: Writing is pretty much like breathing: I would shrivel up and die if I couldn't write. I don't make my living as a writer--at least not yet. In addition to my books on Amazon, I have published several short stories, essays, and articles. I have also published three academic articles, one of them in a major publication. However, academia alone does not define me. I was actually born in October 1950, to Mary Lou and Robert B.; my legal birthday is two days before my real birthday. I'll return to this annoying discrepancy later. My younger sister Robin, who had a different father, was sent off to be raised by my stepfather's sister. 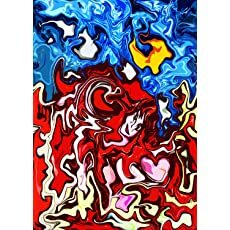 I didn't see her for almost 30 years, a baby when she left, a married woman with two children when I saw her again. I can't even begin to explain that disconnect. The custody battle for me ended when my mother suddenly changed her mind and signed the custody papers. Olive and Harley whisked me off to Sioux City, Iowa, where I lived a rather unremarkable life, that is, until I graduated from high school. Which brings me to my dual birthday. The error seemed like too much bother to fix, so I have lived with my split birthday; I try to use my official birthday for official situations, but sometimes I forget, causing all kinds of bureaucratic hassles. I still have my original birth certificate as well, so, in a sense, I am truly two different people, the adult Jennifer a sort of psychic twin to the child Jennifer. 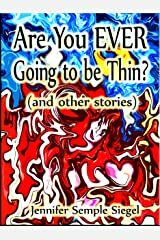 In fact, twins have always fascinated me, and in 2002 I started writing a book called TWIN CANDY BINGS, about Samantha Mallory, a 50-year-old woman, who discovers that she has a twin who needs a kidney/pancreas transplant--the same main character depicted in my published book ARE YOU EVER GOING TO BE THIN? (and other stories). I plan to finish TWIN CANDY BINGS someday, hopefully before I die or fall into the Alzheimer's pit, which is the same as dying. Therefore, I'm a de facto twin; one of my M.F.A. advisors, Michael Klein, is a twin--a happenstance that cannot be a coincidence; I don't believe in coincidences, given that I now have twin nephews, Owen and Henry. 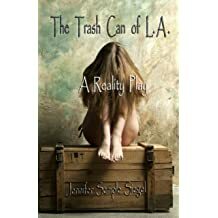 After my high school graduation, I escaped from my overbearing grandmother and flew out to California to live with my mother, another stepfather, and two new brothers. I currently live in York, Pennsylvania (York County), about 30 miles west of Lancaster, 30 miles east of Gettysburg, 20 miles south of Harrisburg, and 45 miles north of Baltimore--an anonymous town in the middle of everything: Interstate 83 runs north to south through the city, and Route 30 runs east to west. 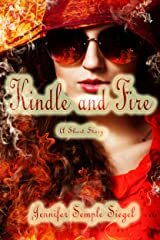 Yet, York itself seems to sink into some kind of nowhere inversion, a town defined by ancient racial rifts--Google "Lillie Belle Allen," and you will get a glimpse of York, past and present--and current drug and gang activity. In addition, the town wallows in serious financial problems, the schools chaotic and sinking even more. Our taxes (on a $70,000 house) last year were nearly $3,000. But my husband and I live in a pretty neighborhood that embraces ethnic diversity, so we stay, despite the fact that a woman was shot just behind our house and a man killed across the street (on Route 30), both within about three months. He is also an important presence in MEMOIR MADNESS. I have been married to Jerry Siegel since 1984. In 1988-1989, 1997, 2004-2005, and 2009-2010 we lived abroad: Yugoslavia, Belgium, and Macedonia. For the first three ex-pat experiences, Jerry was a Fulbright Scholar. I was just along for the ride, and between traveling to exciting places like London, Rome, and Athens, I wrote books. However, I claimed 2009-2010 as my own Fulbright experience. --Plainfield, Vermont (Goddard College): THE FAT LADY SINGS (Morphed into the short story collection). --Brussels, Belgium: A romance (I don't know...It could be a pot boiler). --Skopje, Macedonia: MEMOIR MADNESS: DRIVEN TO INVOLUNTARY COMMITMENT and CORPUS DELICIOUS (unfinished). 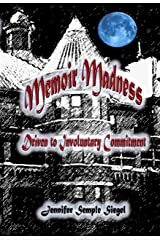 Woodbury County, Iowa, however, meddled in our family dispute, held a hearing, and deemed me fit for commitment in the Cherokee Mental Health Institution, involuntary commitment, that is. 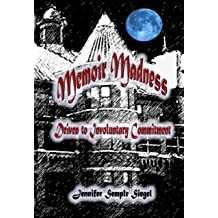 MEMOIR MADNESS covers my life from Christmas Eve 1968 to May 9, 1969, with some flashbacks to Fall 1968 and early life and flash forwards to 2004. --My son's birth: June 1970. 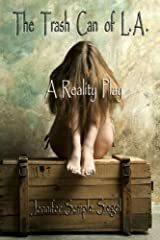 I had no choice but to go back and face that demon; it took me seven years, from first draft (700 pages) to finished work (To location 8693 on Kindle, 420 pages in print). 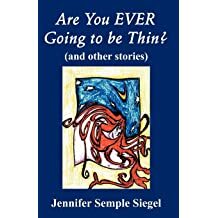 In ARE YOU EVER GOING TO BE THIN?, about 25% autobiographical, there's no mention of an institution because I spent years hiding the fact; I knew no one would ever find out (unless I snitched); mental health records are kept confidential. But I have always known that my past, if not faced head-on, would continue to hold me back from making a significant difference in this world before slipping into the sod. The mental health system stunk back then, and I can only hope that it's much better now, but I have my doubts. I'm thinking about starting a forum for people who have experienced the mental health system at its worst, but I'm not sure I have time for such a project. I have some other loose ends to tie up first; I have a tendency to start projects and then not following through on them--an A.D.D. thing. I'm getting better, though. I have finished writing four books, published some. I own a "food issues" website: Food for Thought. 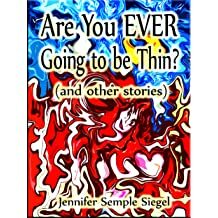 Now that I have discovered a physical component to my weight problem, I feel as though incorporating behavioral techniques would be like going through talk therapy to cure a tumor. But I have returned to Weight Watchers, which is, in my humble opinion, the best diet program in the world, simply because it can be tweaked to fit my insulin-resistant condition and keep my tummy satisfied. And it's not "diety." It's more of an attitude: facing mortality makes one cut to the chase, so if a fifty-plus-something woman says, "**** you," she's just being impatient. My husband has learned this, although he doesn't cuss and is nine years older than me. I really don't like cuss words, but I do use them too much, although not in the classroom. I was an adjunct, after all, and I had to be on my best behavior. After my eight-year-old granddaughter caught me cussing (and calling me on it), perhaps it's time to set up that "Cuss Jar." I haven't revealed everything about myself. It's the internet, for goodness sake, and I have to keep some secrets.